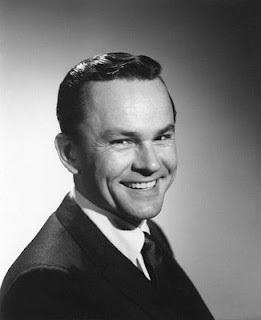 I am constantly on the hunt for airchecks from any of Bob Crane's radio shows. The oldest aircheck I have is from November 1957, recorded about a year after Bob arrived in Hollywood and began his nine-year reign at KNX-CBS Radio. While I have a vast collection of Bob's airchecks from KNX, KMPC, U.S. Armed Forces Radio Network, and several miscellaneous radio stations where Bob guest-hosted during the 1970s, I have yet to locate anything circa 1950-1956 from his East Coast programs (WLEA in Hornell, New York; WBIS in Bristol, Connecticut; and WLIZ/WICC in Bridgeport, Connecticut). However, regardless of the station, whenever I discover a new recording that I have never heard before, it's literally like Christmas morning for me. I feel that kid-like adrenaline rush of excitement—of seeing that wrapped gift and wondering what's inside it. I can't hit the little "Play" arrow fast enough. Because for the next however-many minutes, Bob is going to talk. And he may just tell me something that I never knew before. The other day, I found a rare recording that Eric Senich, the son of Bob's cousin Jim Senich, posted on his YouTube channel. The reel-to-reel tape was a part of Jim's collection, but it was in bad shape. In the video's description, Eric wrote that the tape "was so brittle, it was about to break into pieces." Thankfully, Eric was able to salvage this important recording and transfer it to a digital file, preserving a piece of Bob's life story and of Hollywood history. Here, Bob is interviewed by Del Moore in 1960. Del Moore was a comedian, a television and movie actor, and a radio announcer. He is perhaps best known for his supporting roles in Jerry Lewis films, including The Big Mouth, The Patsy, and The Nutty Professor. It's rare that Bob is the person being interviewed. On his KNX show, he was the interviewer, and one of the best there ever was. Bob was also a gifted storyteller, and this interview is pure joy. Personally, I loved the back story about his appearance in the 1959 pilot for Picture Window. At the time, Bob was in a five-year contract with CBS for his work at KNX Radio—a contract that had a very specific no-acting clause embedded in it. Yet, in 1959, well before his CBS contract (and the no-acting clause) expired, he gave a brief performance in this pilot episode. When Bob Crane: The Definitive Biography was published, I didn't know how Bob had gotten around his contractual obligations with CBS to actually film Picture Window. One reporter suggested that CBS granted him permission, but other insiders claimed CBS would not have allowed it if they had known. It became a moot point because the series was never produced. But in this interview, Bob will tell you himself exactly how it all came about. Not only that, but he'll tell you exactly what he thought of the no-acting clause—and he doesn't mince words! According to Bob in this interview, he was being inundated with offers to act long before 1960 and before the no-acting clause expired. He had to turn them all down because of that clause. And that's quite a bit different from other reports that claim he was begging producers for a chance at acting but nobody was interested in him. It makes perfect sense because in 1961, you start to see him appear in films and on television. And that is exactly when his five-year contract expired, he renegotiated, and the no-acting clause was removed. This recording is gorgeous. You simply can't put a price on it, this glimpse into the past—a "picture window" that allows us a few moments with someone who is no longer here. But then, all too quickly, the tape ends. To me, it's like a cherished guest leaving all too soon. I'll never stop searching for Bob's airchecks, for in them will likely be another golden ray of information to shine more light on Bob—a man with a story worth discovering. The book may be published, but Bob isn't done talking yet! 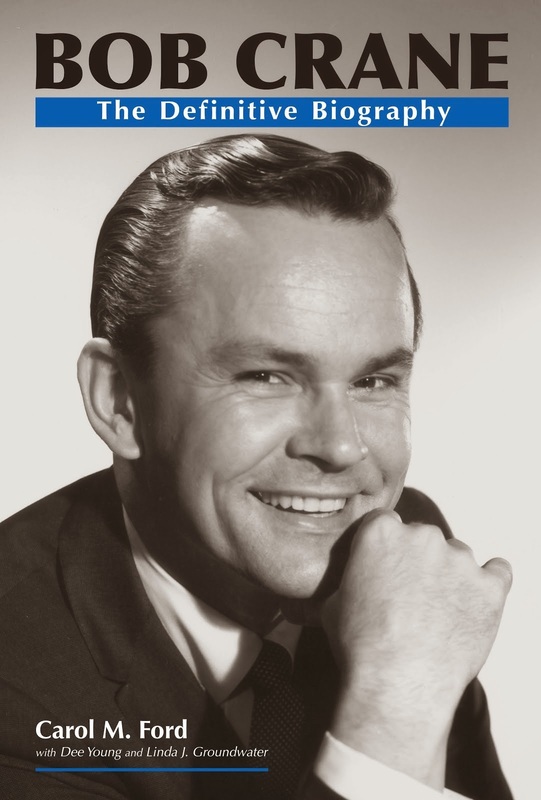 Note: Jim Senich is a strong supporter of Bob Crane: The Definitive Biography and was a major contributor to the book. Special thanks to Eric Senich for making this recording available.